On Sun. 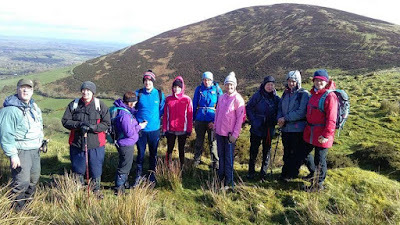 March 11th for the first time we had a club outing doing the Claragh Loop , to get there you go into Millstreet, turn down the road between Centra & the Church and travel out for about a mile until you meet a Grotto and just beyond this you park on the right on the bend. You then proceed to walk up the small road on the town side of where you are after parking until you meet the entrance into the forest on your right . 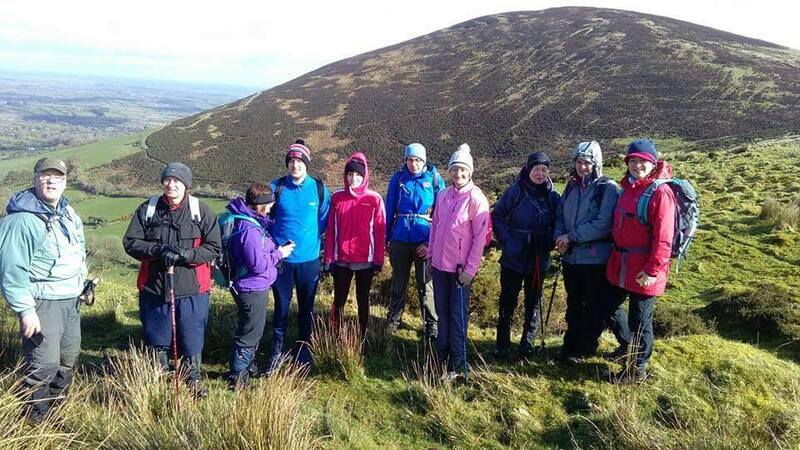 This is the start of the Claragh Loop. 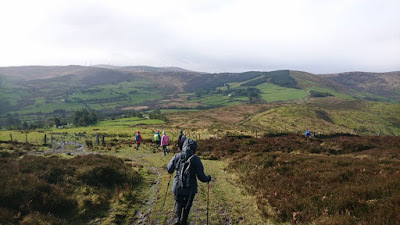 The Claragh Loop is another good walk for us in that it is not that far away and in some ways for us it is so close most people never bother doing it, thinking the far away fields are greener. 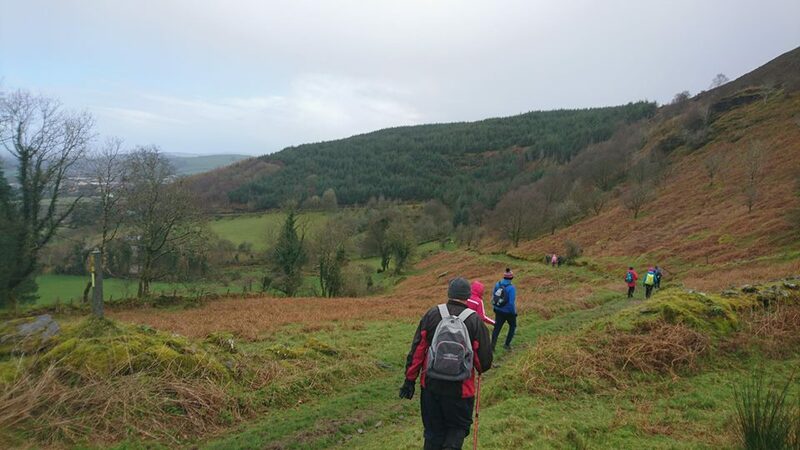 The way we did it is by first climbing the traditional route to the top of Claragh Mt. 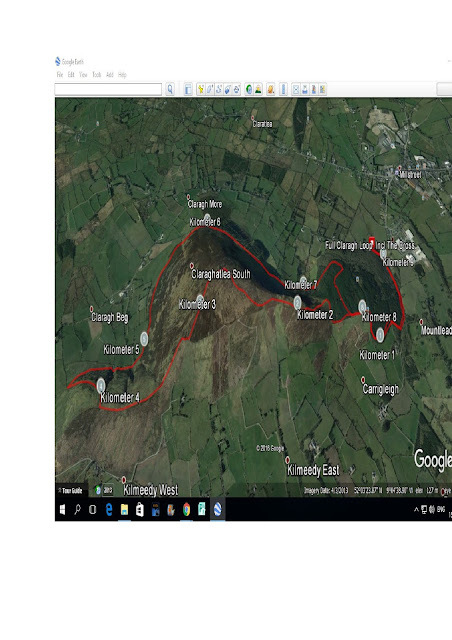 and going as far as the Cross but instead of turning back you continue on until you meet you meet up with The Duhallow Way and the follow the waymarked signs. 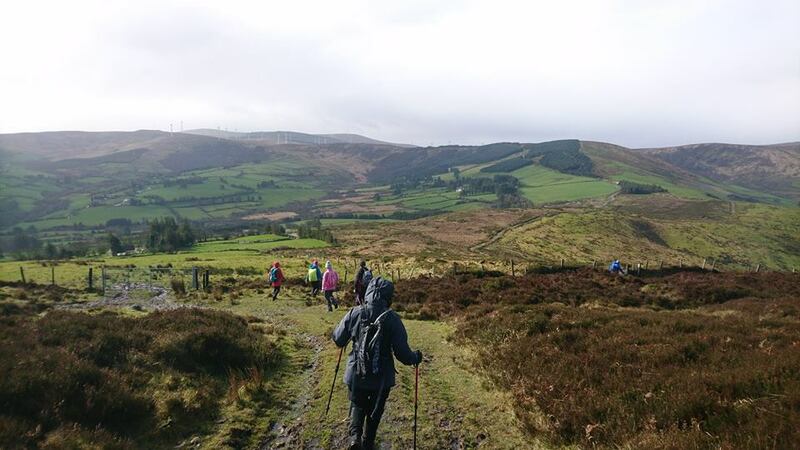 As you descend from the top in front of you is Caherbanagh with views stretching on towards the Kerry Mountains and on a good day the pinnacle of our days out - Carrantoohill. This way is marked but you would want to watch out as an odd sign may not be standing up but it is relatively easy and just follow the paths and after a while it is time to turn around & head back towards Millstreet and this leads to the one bad point of doing the Claragh Loop in that this section can be mucky in places. Today we were lucky in that it was dry for a few days and it was not too bad. Clara Mt. 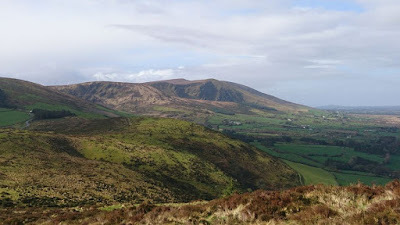 is now on your right with its gorse filled sides, if you wanted you could go straight up or down to reach the Cross from around here if you were feeling really adventurous . 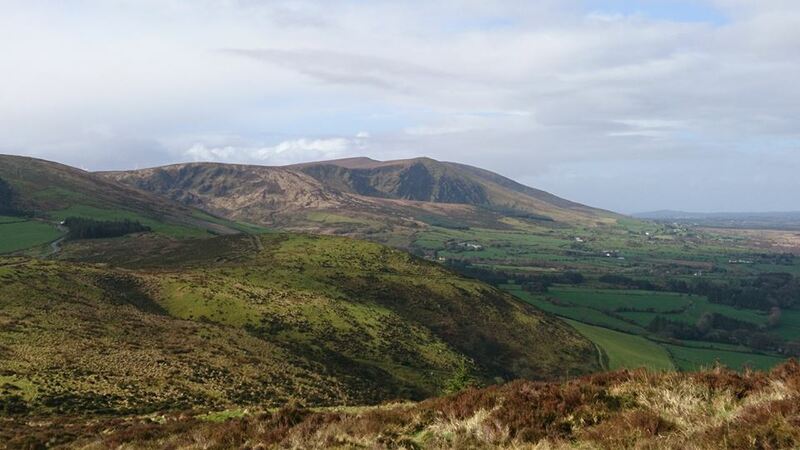 As you are travelling along you are looking on towards Millstreet town and the rest of Duhallow. Another thing about this route is that there is a sting in the tail in that just when you think you are nearly back there is a fine tough little climb up through the forest to join up with the original pathway which led you up to the top & the cross, at this point you take a left & back to the car.